New York seems like such an exciting place to get married. We have only visited The Big Apple a few times, but that being said we had more than our fair share of fun. We look forward to our next trip to NYC. On that note, we are thrilled to introduce all of you New Yorkers to McKenzie Miller Films. McKenzie Miller Films is a Brooklyn, NY based wedding videography studio creating handcrafted films that serve as a perfect reflection of your combined personalities and your wedding, striving to remain discrete and unobtrusive, McKenzie seems to capture the smallest details with without intruding upon the sanctity of your day. From McKenzieFor us, the best part about filming weddings is the few moments right before the ceremony begins, when everyone is beaming with excitement and nervous anticipation - there is nothing else like it! Our mission is to provide you with a beautiful, timeless piece of film that transports you back to the exact moment you said "I do", celebrating the happiest day of your life alongside your soul mate. 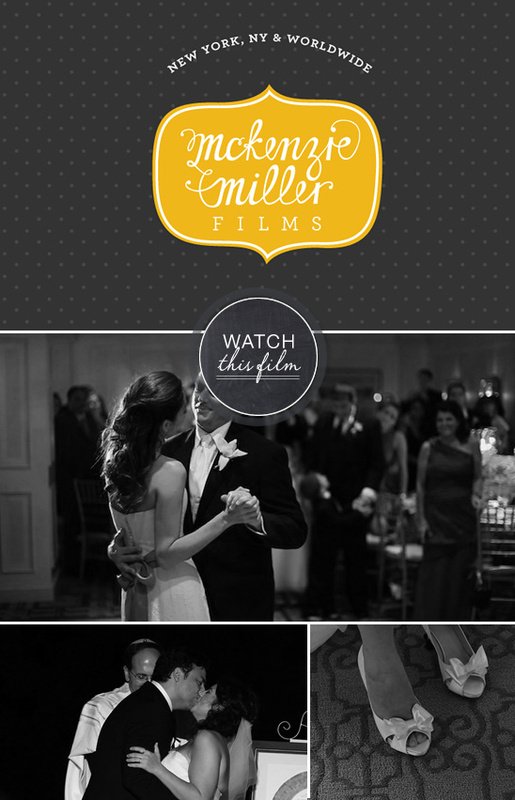 To learn more about McKenzie Miller Films head on over to their web site. The music for the video is licensed through The Music Bed and it is called "I Am Mine" by Brooke Waggoner.